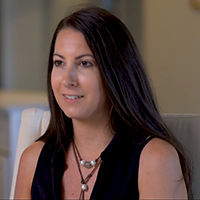 Anna Owens, Sterling Resorts (Reservations Manager) shares how TRACK Pulse helps her manage Sterling Resorts' call center. "Sterling Resorts is a property management company. We manage about 500 properties along the panhandle from Panama City Beach to Destin. I’ve been in customer service for about 15 years. I love leading people, I love managing people and TRACK helps me do that. It helps me facilitate my management and it’s just a great tool."